It is really a tough part to bring new customers to buy your product or service in the complete sales process. Competition for your products are increasing day by day as new business and new products similar to you emerges out. No matter the budget is, there are so many ways to increase your sales. Below are the 5 ways to improve your sales. A strong sales team can make great differences at the core. So hiring the right candidates for the sales team plays the major role in the improvement of a business. Be conscious in choosing the candidates who are team players, good in interacting with others, charming and enthusiastic who may naturally have the ability to communicate well and to sell. 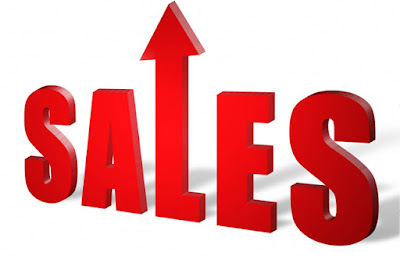 The result for the total effort in the business is to be finally carried out by the sales person. They are the ones who are going to take the business products to the potential clients. That is why it is very essential to ensure that the people hired are of right skills who can bring the definite impact of what you are to the customers. Cross selling is a tricky tactic that generates more sales by the means of selling the related product or the complementary product that a customer needs. It is an art making the customer buy an equivalent product in addition. Customer may come with a commitment to buy a product, the additional products are easier to promote them. For eg, If a customer comes with an intention to buy mobile phone, it is excellent to cause them buy an earphones and a mobile cover. Up-selling is to persuade customers to buy more valuable and expensive products than they have already planned to buy. They may consider the better option for the same or equivalent product with improved value. Let us consider the same example of mobile phone. If a customer intends to buy a mobile phone with a camera, the sales person may attempt to sell them a mobile with dual camera. Showing out the advantages or benefits on buying your products or services may boost your sales better. Prove them that will enjoy major benefits from the product they purchase from you will readily give all the benefits what they may not be pleased with your competitors. Most of the visitors of your business site or your company may not buy your product at the first time. They may wish to know various other information regarding the business. They are known as the prospects of the business, it is the sales team who would converts them as customers. When the prospect gets to know the complete details and ready to buy the product they are the leads. Finally we draw leads to become customers. This is the complete flow of a sales funnel. The Team leader is duty bound for the team to do the sales more valuable. He should provide a strong support to the team for everything top go right. He must have good communication skills and must be a sportive person to face any kind of situation. Focus on your target with a positive attitude, give your customers greater importance, Keep going despite of heavy competitions, to reach your sales target.